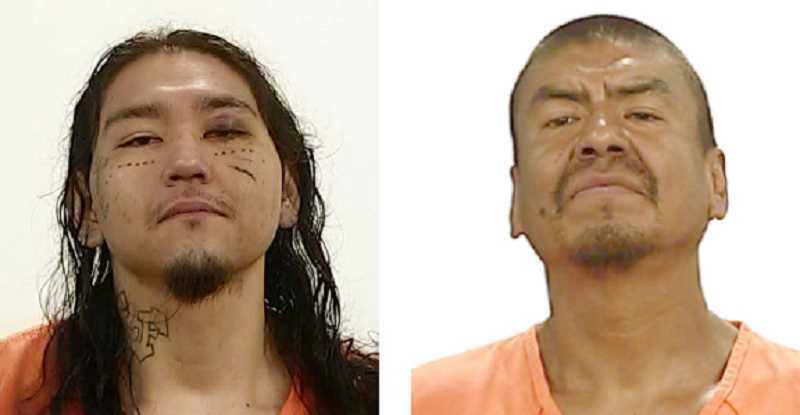 Two local men, Devonne James Rhoan, 28, and Gabriel James George, 44, were sentenced April 1, for a stabbing that occurred near a Madras church Dec. 22, 2018. Rhoan, 28, pleaded guilty to second-degree assault, a Class B felony, and was sentenced to 70 months in the custody of the Oregon Department of Corrections, while George pleaded no contest to attempting to commit a Class A felony — first-degree assault, a Class B felony, and was sentenced to 60 months in the custody of the DOC. Both must serve three years of supervised probation after they are released. The incident occurred around 4:30 p.m., when officers from the Madras Police Department responded to the report of an assault near 11th and C streets, near the Lutheran Church of the Good Shepherd and St. Mark's Episcopal Church. Police found a 46-year-old Madras man with several stab wounds. The man was taken by Jefferson County Emergency Medical Services to St. Charles Madras, and later airlifted to Oregon Health and Sciences University, where he was treated for his injuries and later released. For Rhoan, charges of attempting to commit murder, first-degree assault, second-degree assault, first-degree criminal mischief and attempting to commit a Class A misdemeanor were all dismissed. Charges of attempting to commit murder, two counts of second-degree assault, first-degree criminal mischief and attempting to commit a Class A misdemeanor were all dismissed for George. The men were identified, and then located later that evening, when police were dispatched to an attempted entry into a vehicle just west of the Texaco gas station at Fourth and D streets. After refusing to follow police commands, the two were subdued with a Taser, and taken into custody. They were lodged in the Jefferson County Correctional Facility. Circuit Court Judge Annette Hillman handed down the sentence in the Jefferson County Circuit Court. Jefferson County District Attorney Steve Leriche prosecuted the case. Rhoan was represented by Michael Love, and George by Laura Moszer.